HomeFor ClientsAnalyticsForex Analysis & ForecastsForex Technical analysis and forecastsForex Technical Analysis 2011/02/04. EUR/USD,GBP/USD, USD/CHF, AUD/USD, USD/CAD, Oil Forecast Fx. Forex Technical Analysis 2011/02/04. EUR/USD,GBP/USD, USD/CHF, AUD/USD, USD/CAD, Oil Forecast Fx. On the basis of the eurusd analysis one should try to buy the EUR/USD currency pair with the tight stop while the price is testing the rising’s channel lower border. There is a possibility that the price will continue growing, but not much. 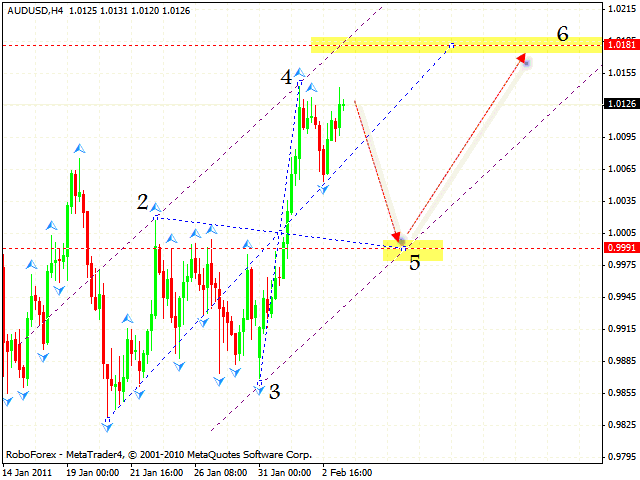 The closest target is the area of 1.4030. If the price breaks the lower border, one is recommended to close long positions. In case of Pound we should expect the price to be corrected to the area of 1.6061 where we can try to buy the pair with the tight stop. 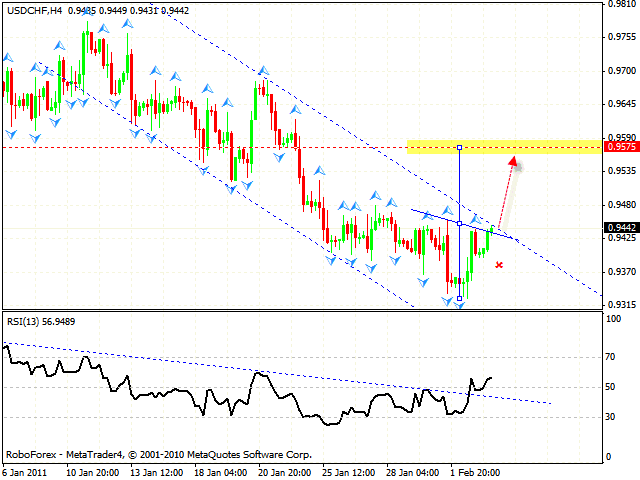 According to the gbpusd analysis the target of the growth is the level of 1.6300. If the price leaves the channel, this case scenario will be cancelled. 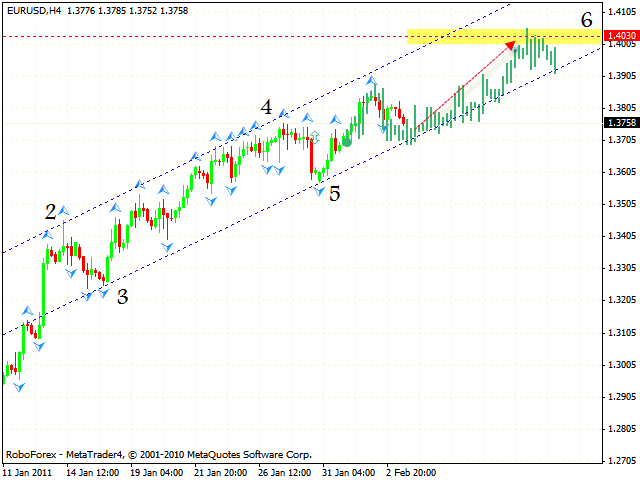 Franc is testing the channel’s upper border, which is a resistance line here. Here we also have “head & shoulders” online forex trading reversal pattern forming. Judging by the technical analysis usd chf one can try to buy the pair only after the price breaks the channel’s upper side. If the price falls down to the level of 0.9390, one should consider selling the pair. According to the aud usd analysis Australian Dollar keeps moving inside the rising symmetrical pattern with the targetin the area of 1.0180. 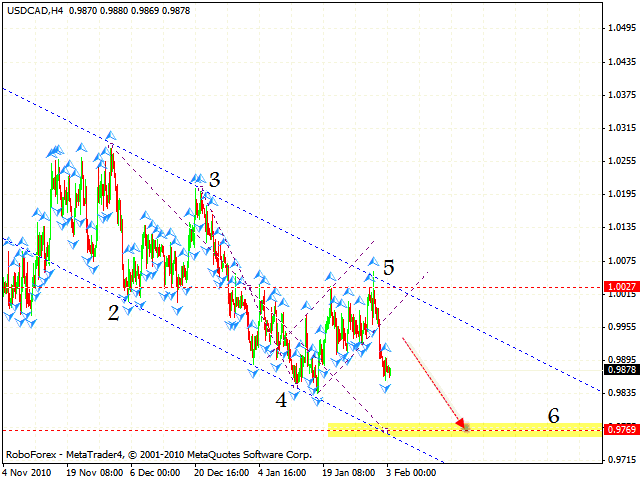 At the moment we should expect the price to fall to the level of 0.9990 where the 5th point of reference is formed. Here one can try to buy the pair with the tight stop. In case of Canadian Dollar the closest target of the fall is the area of 0.9770. 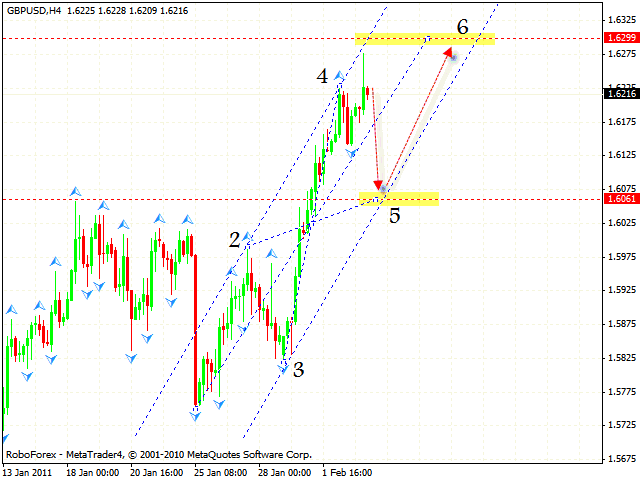 According to the usd cad analysis any type of correction should be considered as a good opportunity to sell the pair. Take into account that the correction may continue up to the level of 0.9955. 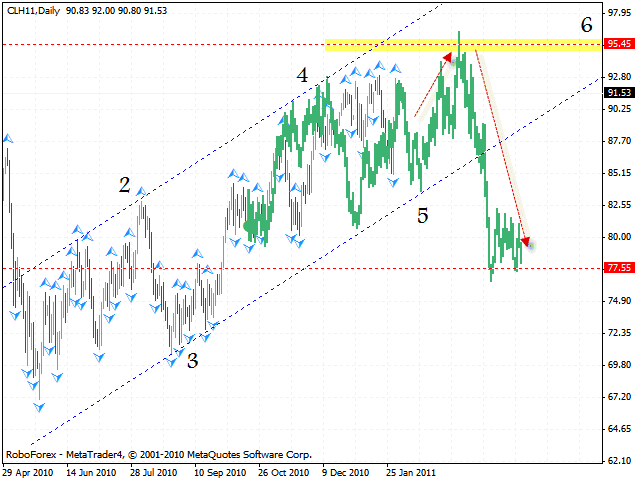 In case of OIL the final target of the growth is the area of 95.45. After the target in this area is reached, the price may be corrected to the level of 77.55. Judging by the oil analysis if the price breaks the rising channel or starts to form a reversal pattern at shorter periods of time, it will be a good signal to sell.